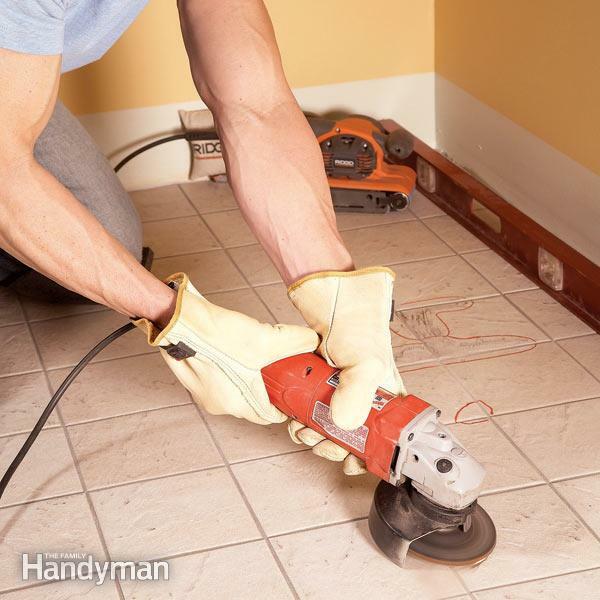 Do you need to update your tile, linoleum or wood floors? 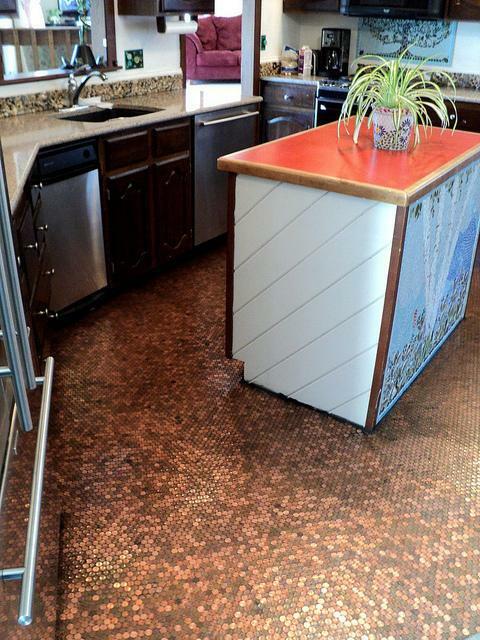 Try one of these cheap flooring ideas that won’t break the bank! You know how sometimes you can make a single update to a room and it looks completely different? I always have thought paint was the single biggest update you can make to a room (outside of a major structural change) but lately I’ve realized something else can make an even bigger impact…flooring! To be fair, flooring does cost more than a single can of paint. However, you might be shocked at how affordably you can change your floors without it looking like cheap flooring! 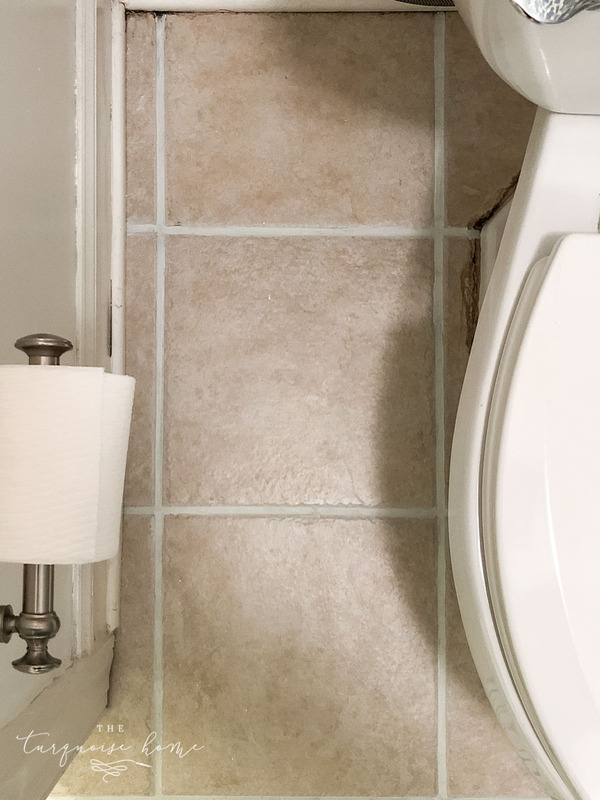 Believe me—you don’t have to suffer with unsightly flooring you can’t stand until you can save up thousands of dollars. Instead, give some of these cheap diy flooring ideas a try. 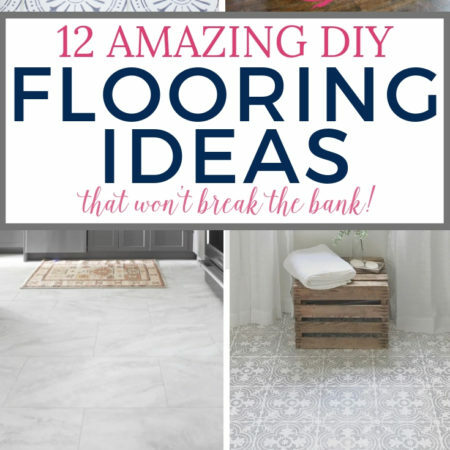 Every single one on this list is budget-friendly flooring and something that can be done as a DIY. 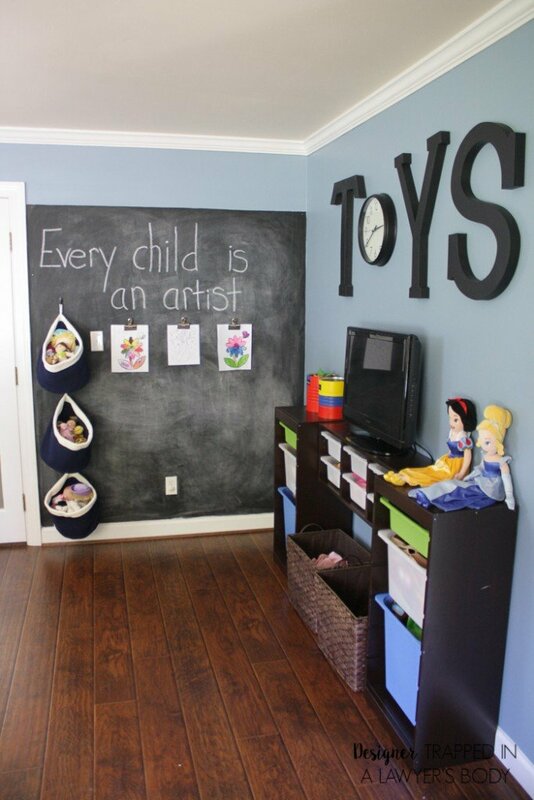 Here are some of my favorite DIY cheap flooring ideas out there. 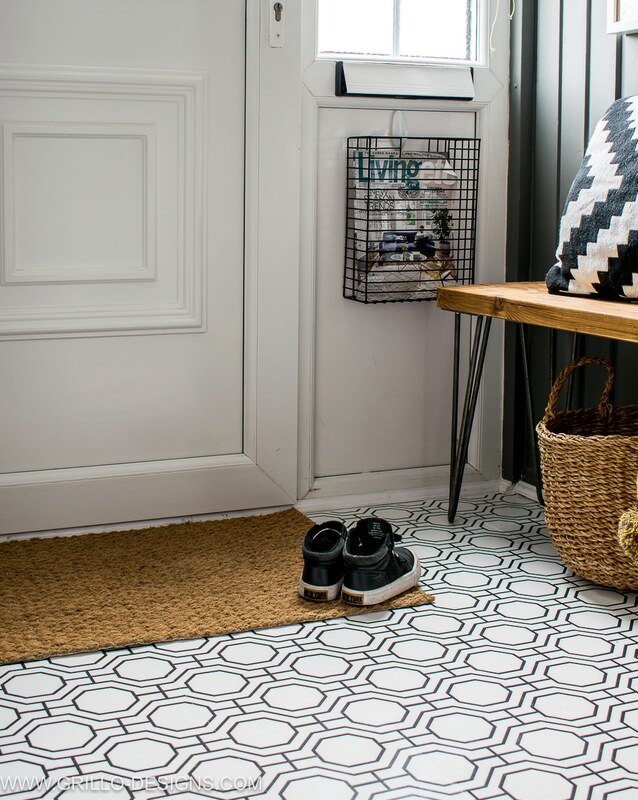 I just had to start with this section, since I just finished my very own budget-friendly makeover on tile floor! If you missed the post, I tried my hand at peel and stick vinyl tiles that were custom-sized to fit over my builder-beige blah tiles. 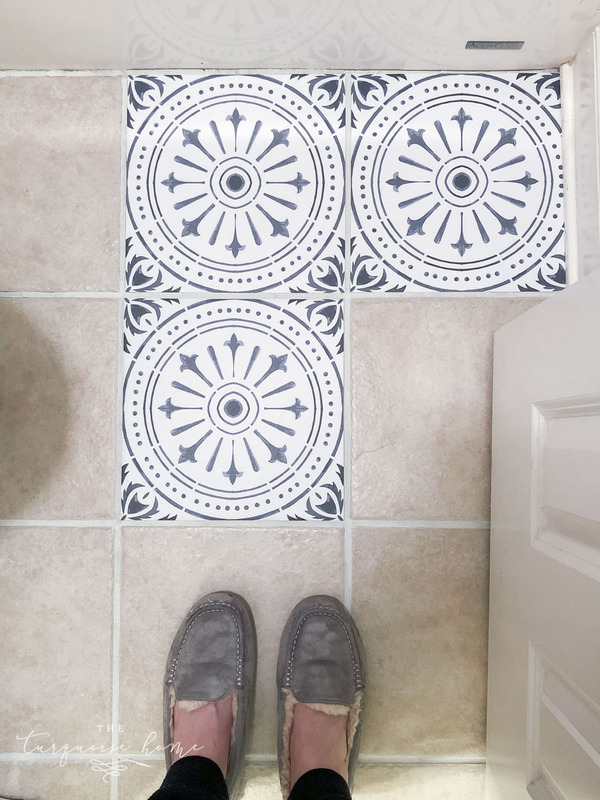 I love the patterned cement tile trend that you see everywhere today, but I didn’t want to remove my existing tile or pay the hefty price tag for it, so I went the peel & stick route. 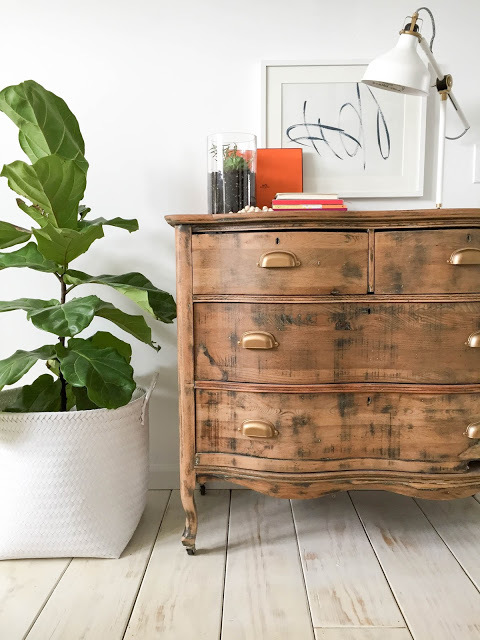 It’s worth clicking over to the post to read the full story, see how the room turned out and find out exactly what I would change the next time I do this, but—spoiler alert, all-in-all I LOVE them. See what I mean? How gorgeous are those vinyl stickers? They look so realistic! 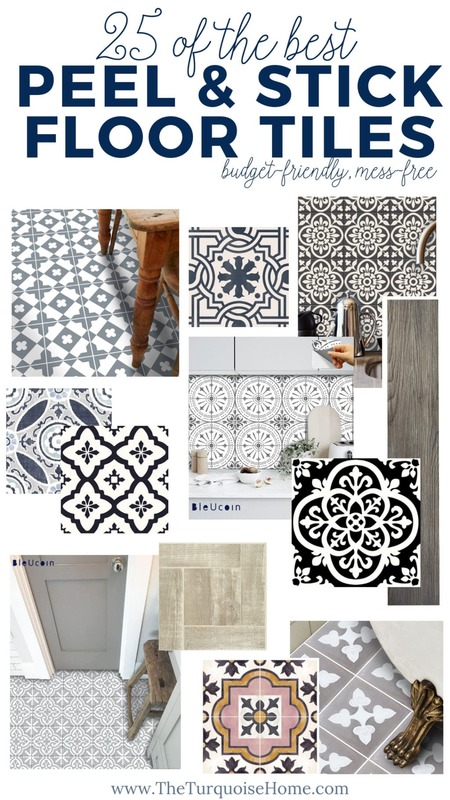 If you want to see even more DIY peel and stick tile flooring options, check out my post with my favorite tile sticker options! You wouldn’t believe how many styles there are out there. This option is so interesting to me! Did you know you can buy a sheet of patterned vinyl flooring, cut it to fit your room and roll it right on top of the existing floor? I had no idea. You don’t use any adhesive or nails to hold the flooring down. Instead, it sits just under the baseboard and is held in place by nothing else. 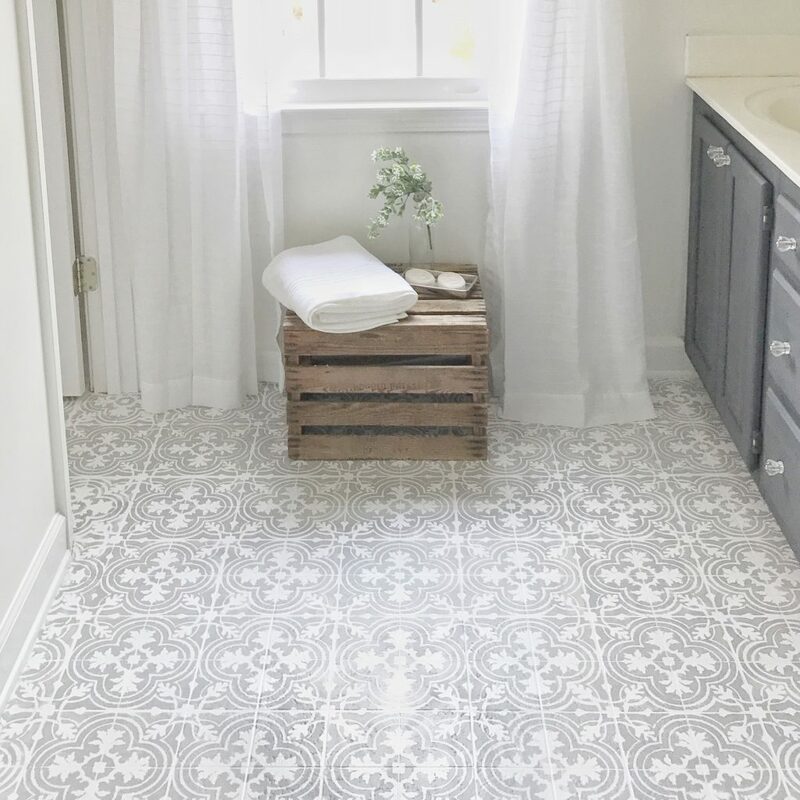 I love the pattern Lauren at Bless’er House chose–that marble hex tile is the perfect blend between modern and vintage. Check out her cheap flooring solution right here. 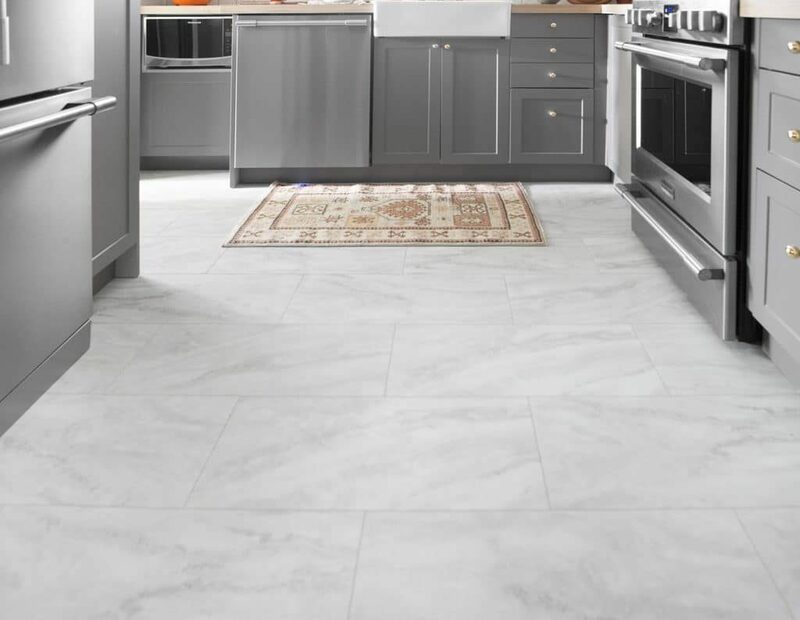 If you want an even higher end look on a budget, you might want to consider luxury vinyl tile flooring, which is a thicker tile that can be grouted. I’ve seen this in person before and you cannot tell it’s vinyl, even if you get right on the floor and inspect it. It’s so realistic! This tutorial from Chris loves Julia will give you everything you need to get a high end look for less! If you don’t like the look of tile, you may feel like hardwood floors are out of your price point. While finding genuine cheap hardwood floors is pretty rare, you can re-create the look of wood floors at a fraction of the price! Here’s how to get cheap flooring that looks like hardwoods. One option is to skip hardwoods and instead opt for laminate flooring. You can find some very affordable flooring options in the laminate category, and the majority of them are easy to install on your own. Designer Trapped has a great post put together that details her experience with laminate and why she decided to go with laminate over hardwoods. Want something a little different? Another cheap flooring idea is to install plywood floors. Yes, the sheets of plywood you see at the home improvement store. You’ll be shocked at how gorgeous this cheap flooring from House Seven turned out. I even love how it looked before it was painted! Have worn out, damaged wooden floors? Paint them! 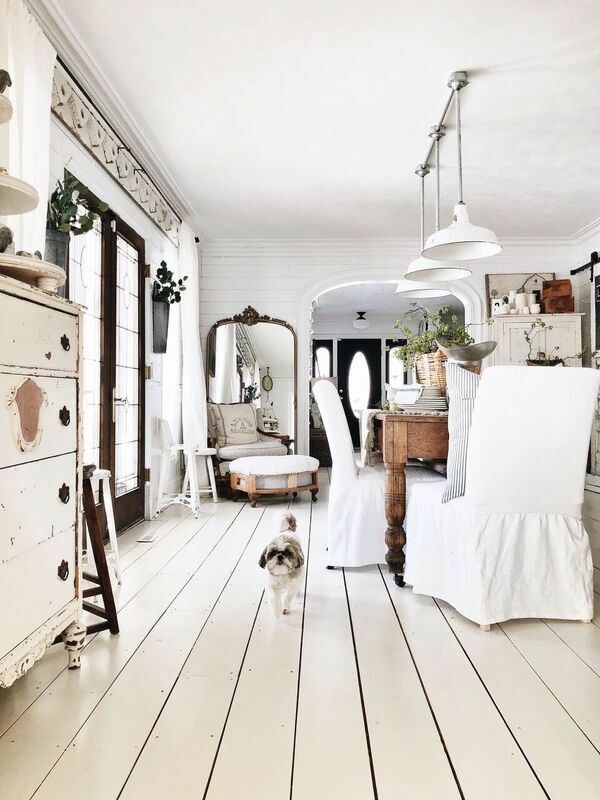 The great thing about this is that it can be virtually any color you choose—I love the creamy white Liz Marie chose for her unfinished wood floors. Plus, it’s only about $0.10 per square foot! You wouldn’t believe it but yes, these floors are made from brown paper bags! Gives the look of hardwood floors without all the cost. Plus, this cheap flooring tutorial from Remodelaholic means you can stain your floors to your color preference. If you are looking for something a bit different, these ideas for cheap flooring are some excellent options. There truly is something for everyone here! 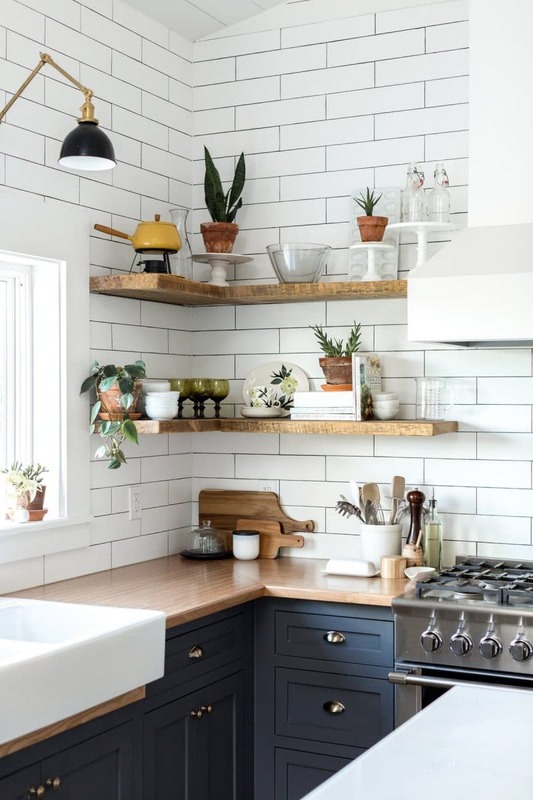 Like I mentioned before, the pattered cement tile look is super popular right now, but it’s not necessarily budget-friendly. 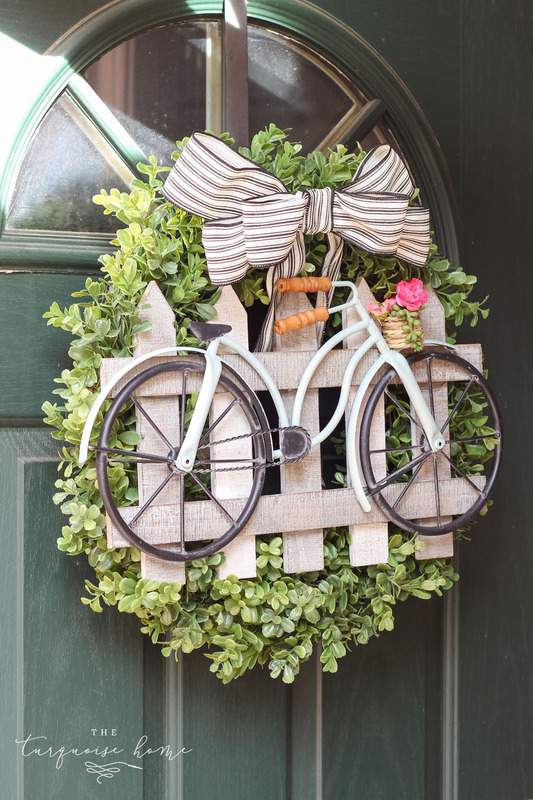 If you don’t want to go the peel and stick route, you can use paint and a stencil to achieve a similar look! I think I’d like to try this in my laundry room since it’s a high-traffic area. Kayla at Plum Pretty Decor & Design even made her own stencil for this job! I love how it turned out! This idea kind of blows my mind. I have never thought of using it on the floor, but now I want to! 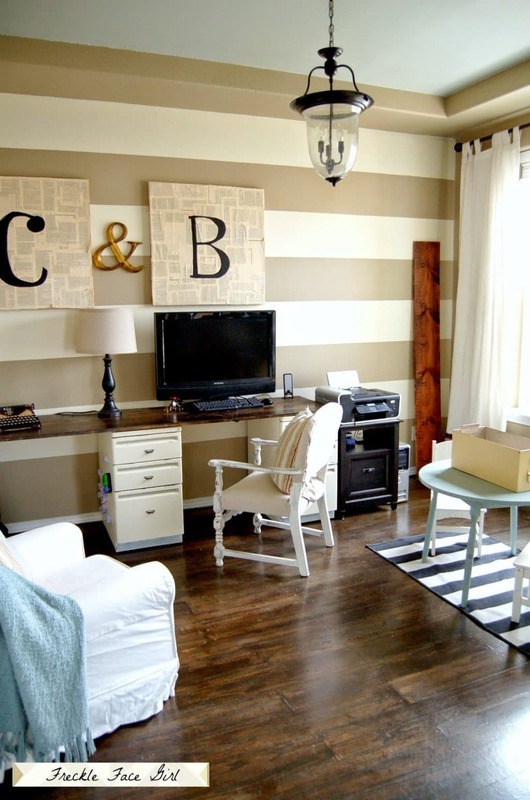 You can create a stenciled look or whatever else you’d like—there are so many great styles of wallpaper out there. 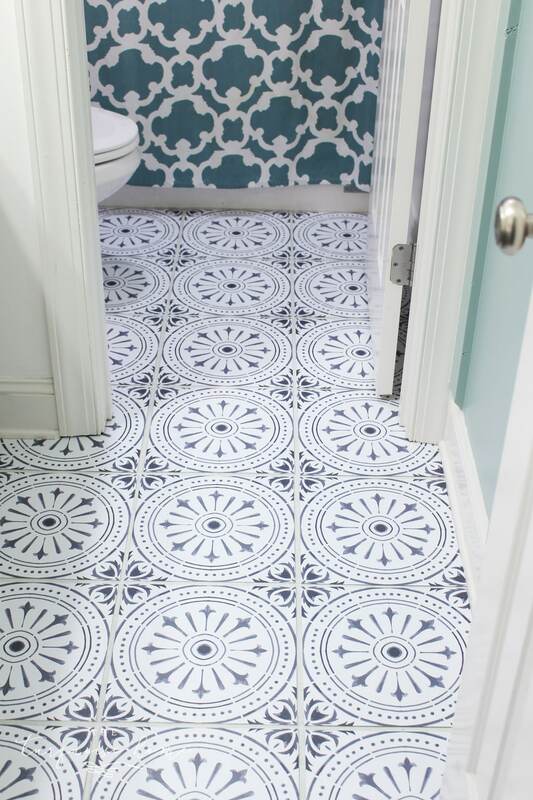 This idea from Grillo Designs is also a great cheap flooring idea for renters. Okay, now you have a great reason to save up those pennies! 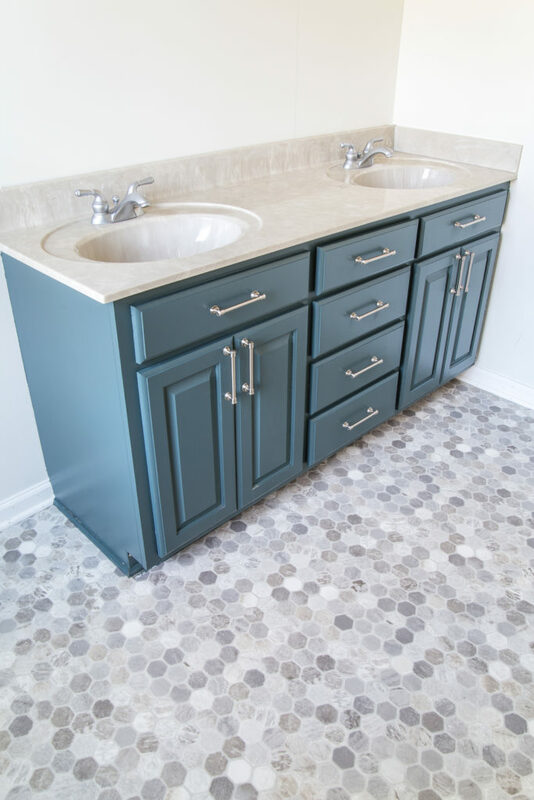 Common cents says if you have a large jar of old pennies, make use out of them with this guaranteed-to-be unique cheap flooring that will literally cost you pennies, thanks to Pretty Purple Door. 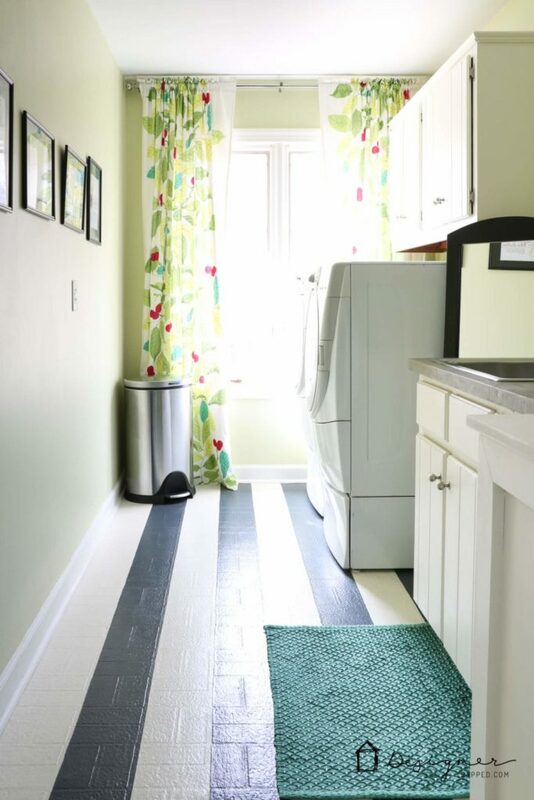 For merely $30 in “porch & floor” paint and a little time, Tasha painted her linoleum floors in a classic gray and white stripe to totally transform her laundry room space. You can’t get much cheaper or easier than that! This idea kind of blew my mind. I have never heard of anyone installing new tile right on top of the old tile. Ripping out old tile is extremely physical and thus quite expensive if you hire it out. However, if you are looking for cheap floor tiles, ceramic tile is affordable and comes in a wide variety of patterns. 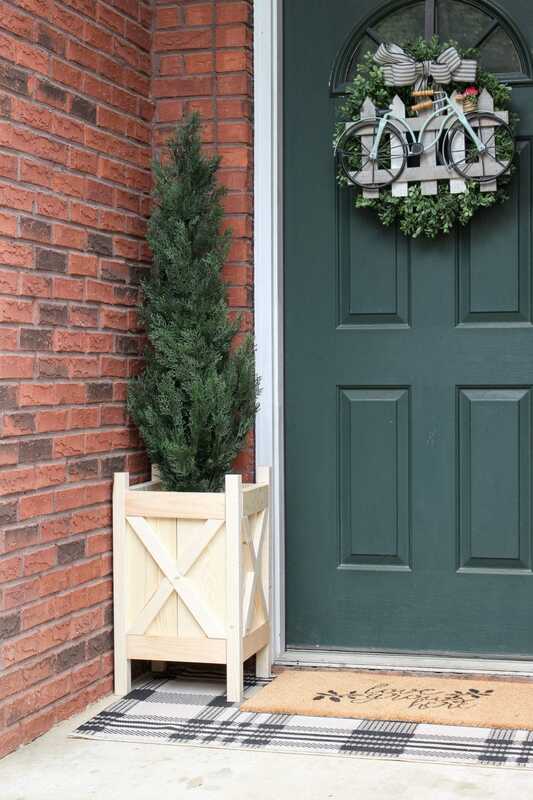 Check out the full tutorial from Family Handyman. Aren’t all of these ideas awesome? 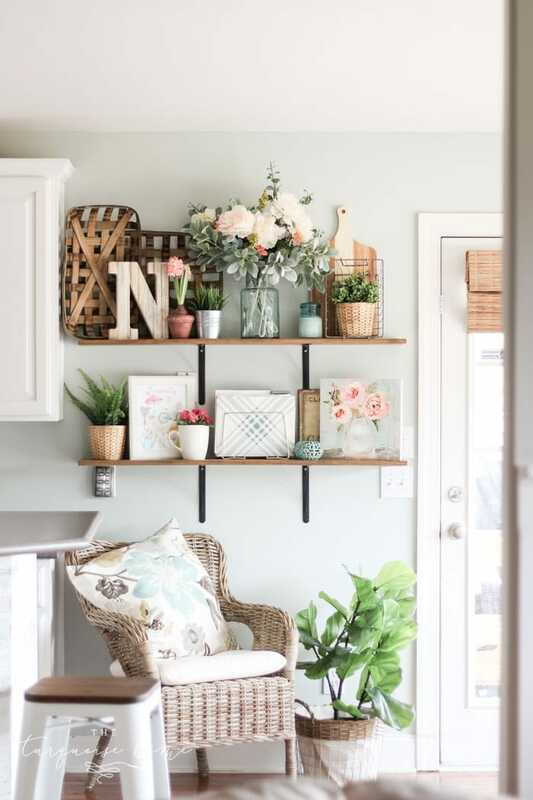 I know I’m partial to my peel and stick tile, but I do love so many of these other cheap flooring ideas too! Which is your favorite? Hi Laura, It’s totally different and beautiful flooring ideas and I think DIY Plywood Flooring will be perfect for me. Thank you for the share. I have enjoyed reading this article about the floors and I really like them all. I am gonna keep this in mind. When we remodeled our house my husband wanted to put down wood flooring. I was very much against it because growing up we had it throughout the house and I remember the job of keeping up with it. I found Pergo laminate flooring at Home Depot and fell in love with it. We put that down in every room except the bathrooms and kitchen. In those rooms we put down the peel and stick laminate. Not are very easy to keep clean and I love it!